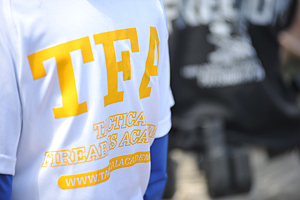 The Tactical Firearms Academy staff have more than 50 years of combined expertise in firearms training. 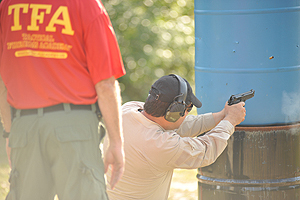 All of our instructors are licensed with the State of Florida and insured through the NRA instructor programs. All instructors maintain an active status in the public and private law enforcement world. Backed by the U.S. Department of State, NRA, FDLE, and the State of Florida, our instructors are constantly updating their training curriculum in order to bring you the latest in firearm tactics and manipulation training. We offer unique, useful, and time proven tactical concepts for those attending our training courses. We are fully committed to providing you the safest, cost effective and most comprehensive training courses available. We believe when using a firearm to protect your life or the lives of others, you should be committed to getting the necessary training to be effective and safe. Tactical Firearms Academy’s training regimen is firmly rooted in the cutting edge, real-world capabilities of our instructors. What we teach is not based upon theoretical assumption, but on our own extensive street experience and worldwide survival skills. We are in a constant state of learning and consider ourselves perpetual students. Tactical Firearms Academy provides outstanding training at public and private ranges in Miami-Dade, Broward and Palm Beach counties as well as at our private training facility in Clewiston, FL. By leveraging our relationships with existing business affiliates we are able to offer you additional services to meet all your firearm and training needs. Through our relationship with KGB Armament we are able to offer our students the ability to purchase ammunition and firearms, including Class III and NFA items, at prices that are highly competitive. Tactical Firearms Academy is a fully licensed and insured firearms training facility with instructor licenses issued by the National Rifle Association (NRA), International Association of Law Enforcement Firearms Instructors, Inc. (I.A.L.E.F.I. ), Florida Security Officer Instructor (#DI1100028), DSP-5 license with the Department of State for Firearms Training of Foreign Nationals, Florida C.J.S.T.C Law Enforcement Firearms Instructor.